The new £5m Killingworth Road Metro bridge has been installed in one of the biggest engineering projects in Metro’s history. Story Contracting, on behalf of Nexus , is replacing the bridge which serves one of Metro’s busiest routes that connects Newcastle and North Tyneside. The old bridge, which dated back to the Victorian era, needed to be replaced due to its age. It was demolished earlier this month to make way for the new bridge. The work forms part of the £350m Metro all change modernisation programme to modernise the railway’s ageing infrastructure. The new bridge, which weighs 370 tonnes, was assembled on a nearby site compound and will then be moved into position on a multi-wheeled lifting rig. 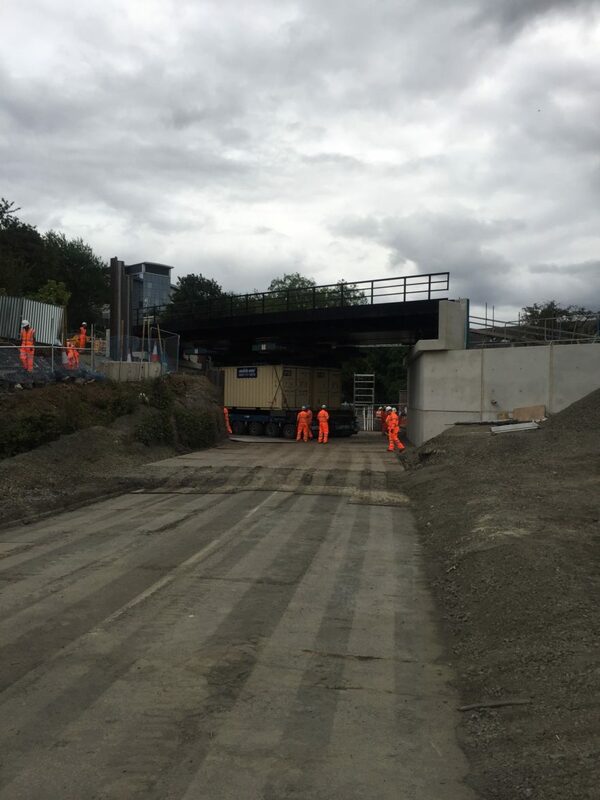 It was then secured on to its new concrete abutments and made ready for the scheduled re-opening of the Metro line between South Gosforth and Shiremoor on Sunday 3 September – the scheduled end of the 34 day major line closure. Director of Rail and Infrastructure at Nexus, Raymond Johnstone, said: “This has been one the biggest engineering projects in Metro’s 37 year history. “It’s the first time we have had to replace an entire railway bridge on the network. A huge amount of planning and work has gone into making this project a success. It has been delivered brilliantly in an extremely tight time frame to ensure the minimum amount of disruption. A road improvement scheme by Newcastle City Council, which will see Killingworth Road widened towards the Haddricks Mill roundabouts has been arranged to dovetail with the Metro modernisation schemes.